Gtmhub OKRs Chargebee integration. Here's how to connect your Chargebee account to Gtmhub to use real time data to power your OKRs. Chargebee is an online recurring billing system that works on top of 30+ payment gateways worldwide.. By integrating Chargbee in your account you will gain insights on your revenues and money flow. 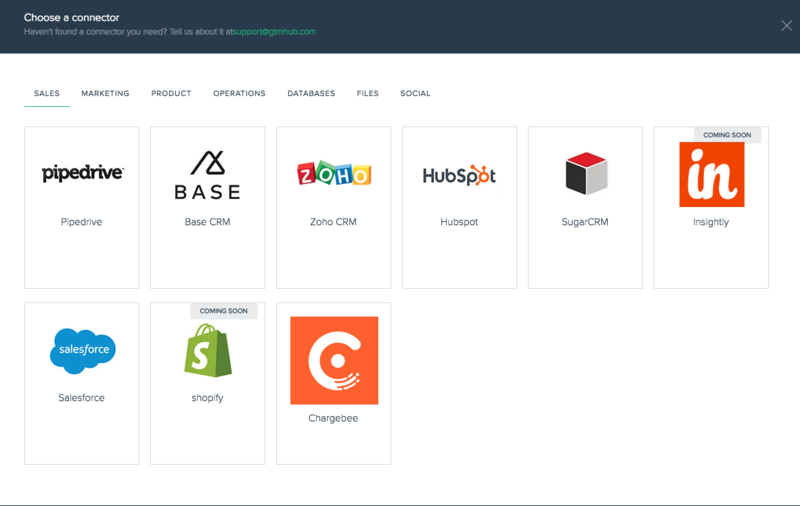 From the Choose a connector dialog navigate to Sales tab and choose Chargebee. Give a name of the connection. In the Api Key field enter the api key associated with your domain. 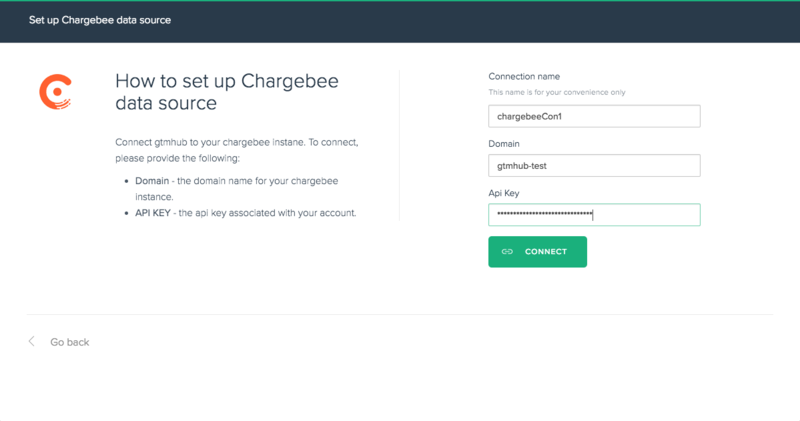 In order to obtain an api key you will need to navigate to Settings -> API Keys inside your chargebee instance. Once the Connection is established you will be presented with a list of available data sources for syncing. The next step is to create an entity from the data source side menu and build insights to analyze it.